‘Empowerment’ and ‘participation’ are concepts often used in relation to minorities, but with very different meanings. It has been noticed how, at times, discourses about Roma empowerment are laced with representations of the Roma as ‘needy subjects’. This has often resulted in even some well-meaning empowerment strategies unwittingly reproducing prejudices and creating relations of dependency. For MigRom, the starting point for both is the development and diffusion of knowledge. We believe that informed people have greater opportunities to participate on their own terms in the wider society and thus seize whatever empowering opportunity available to them. A key element in MigRom’s engagement with Romani communities is making content that is relevant to the community, such as local authority policy documents, court decisions and media reports, available and accessible to community members. This gives community members an opportunity to reflect on their position and to formulate and articulate their views in response to government initiatives that concern them. To that end, the project also facilitates encounters between community members and local authorities, as well as input from Roma to the media. All MigRom partners engage actively with local authorities in their regions. This engagement often revolves around the provision of training sessions and consultancy, for which the project does not charge a fee, to members of public sector and interested third sector agencies in a variety of areas (health, education, policing, and more). Roma participants in the project play a key role in the design and delivery of these training sessions, which combine evidence-based research with the community perspective based on personal experience. We are convinced that Roma must be allowed to take the lead on supporting their own communities and articulating their community’s needs and interests. We regard our contribution as a project to community outreach as temporary and transitional, and as geared toward the creation of sustainable structures that will be led and operated by community members. Several MigRom partners are engaged in supporting local Roma representation structures and providing them with the experience and public exposure that they require in order to kick start their role as community advocacy groups. 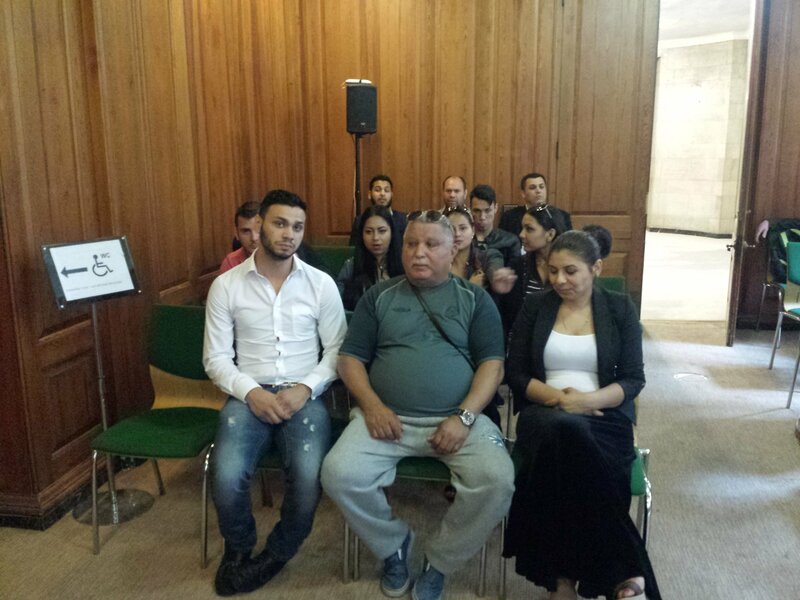 In Manchester, we have helped set up the community group Roma Voices of Manchester, with support from the local authority. Knowledge, particularly when minorities like the Roma are involved, cannot be the exclusive property of few privileged academics. This is why, since the project inception, all participating academic institutions have incorporated Roma community members in their activities. They participate in the design and the implementation of research at local level, and contribute to the assessment and contextualisation of research insights. The involvement of Roma also offers us opportunities to identify, other members of their communities who are interested in working together with the project teams. The MigRom consortium includes a Roma NGO, the ERTF, as a full partner, which participates in the design of the overall research programme, in the formulation of policy recommendations, and in the dissemination of research results to policy bodies. We believe that researchers working in and on Roma communities have a duty to put their skills in the service of the community’s own articulated interests, especially in situations that are precarious and demand urgent responses. To that end, MigRom teams have taken an active part in supporting campaigns against evictions, drawing public attention to misrepresentation of Roma in the media, correcting unsubstantiated assertions and critically examining interventions by local agencies. Part of the project’s agenda is to offer training to members of the Roma community – both those working on the project, and other beneficiaries. 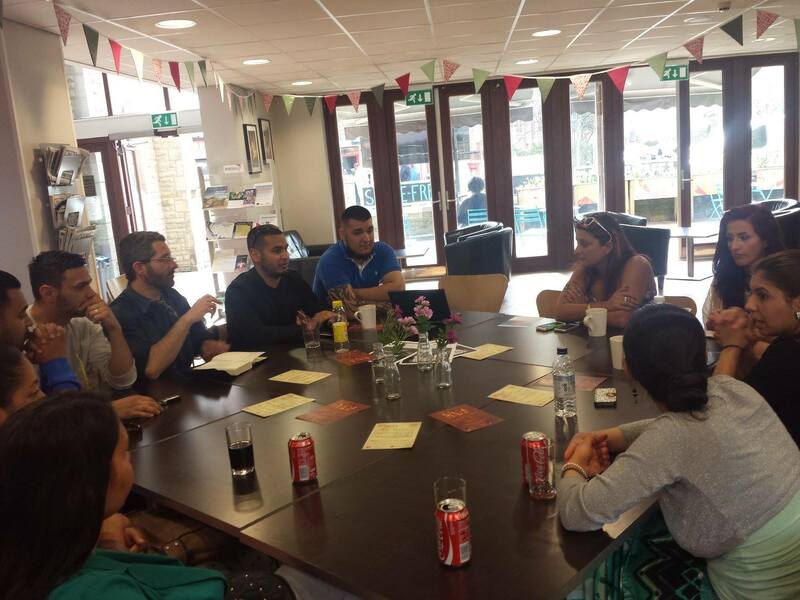 In Manchester, MigRom has set up an advice and support service for the local Roma community that is led by the project’s Roma outreach workers. The service is punctual, non-intrusive, and strictly responsive to client needs. It follows a self-reliance agenda, through which clients are encouraged to acquire tools and confidence to assess and articulate their own needs in direct interaction with service providers. 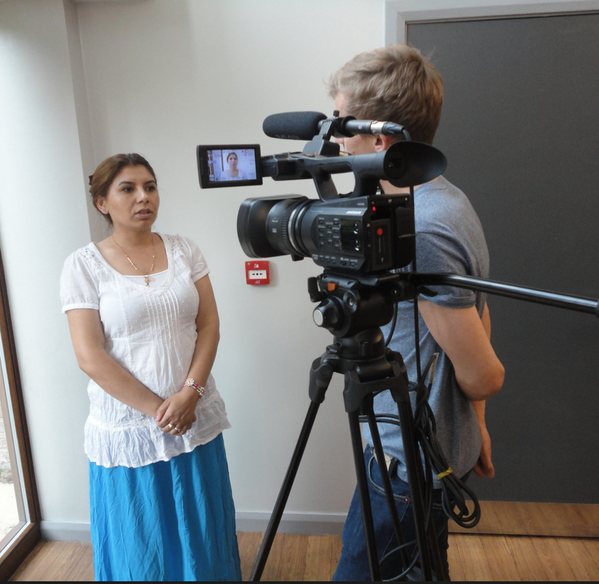 The project also offers training events for young members of the Roma community on aspects of history, advocacy, engagement with media and policy makers, and research methods. I see Roma participation as bringing change in my Romani community. I have seen changes within the community, brought about through work by the MigRom Project. The Project has helped find jobs, courses and education opportunities. The main focus of the Project is to build self-reliance within the community, building skills for people to apply and gain jobs for themselves. This has proved successful as many in the community are now employed. The people who are benefitting most from this work are the young and middle aged. The young people within the community benefit from having their voices heard both as a community, and as individuals. They are given the freedom to express what it is to be Roma, conveying the true reality of their culture, beyond everyday perceptions and stereotypes. They can also challenge the input of outsiders, like International Roma Day, that many Roma do not identify with. For the middle aged, the MigRom project provides skills, dreams and opportunities to pass on to their children, and to the younger generations. The Project has helped realise many things previously unavailable to the Roma community, demonstrating that dreams can become reality. The Project has been a voice for both these generations. All that was needed for the community to grow and blossom was a bit of encouragement and inspiration. I see Roma participation as a way to get employment in a mainstream institution. I am currently working as an outreach worker on the MigRom project, with the University of Manchester. I support my community by assisting community members to communicate with public authorities and service providers. 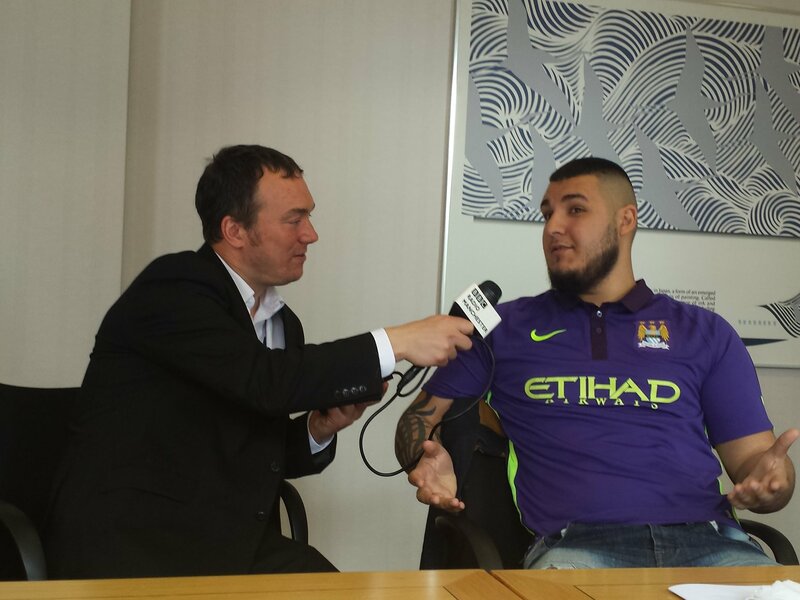 I also contribute toward building an understanding about the Roma community in Manchester and toward raising awareness about the challenges Roma face every day. I assist the MigRom project to pass on this understanding to the local authorities and service providers. For me, Roma participation is being able to work in a reputable institution and raise awareness about my Romani community. For me, Roma participation means to give a voice to Roma, i.e. empower Roma to participate in decision-making processes that concern their development as a community. This is to say that Roma participation does not mean we loosing our identity, but promoting it by participating on an equal footing with rest of society members in the society we live in. 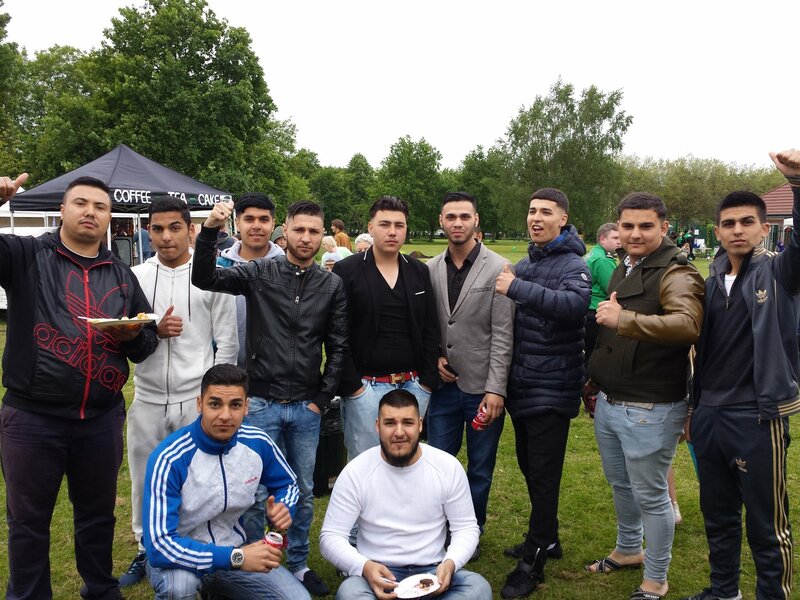 On April 30, 2015, a group of young Roma set up a Romani community group — Roma Voices of Manchester (RVMCR), with the support of MigRom project. It will help us represent our community in policy-making processes. I believe it is time we, Roma, to stand up for ourselves and firmly lobby for our own interests. And, I believe we can do that with the support of MigRom project. At first it was strange for me that people wanted to study our life. But then I understood that many people are sincerely interested in the Roma world. They are different to most of the ‘gaže’ I have known so far. Teaching Romani words and phrases to other people has given me a new appreciation of my own language. I also discovered that I could communicate with Roma from other communities. I could speak with them and help improve their relations with local public services. I was also able to show the ‘gaže’ alternative ways to look at the Roma world. The experience of carrying out interviews has helped me now look at things from a distance, and I have acquired a new perspective on my own people. I also understand better now how the ‘gaže’ world works. I hope this can help me and my people. I would very much like to continue to work in this area, and I hope my experience on the project will help me find a job in the future where I can promote understanding of the Roma people. Ando maladimos MigRom haj andaj diskusia kaj sas amen le romenca kaj avile anda aver države, razumisailo ke mora i le rom te menjon pesko načino sprema le gadše haj i le gadže mora te menjon pesko načino sprema le rom. Isto anklisto la skolako problemo, ke soste e romanì kultura dosta amenge te živis maškar le rom, ali naj amenge dosta te živis maškar le gadže. Haj isto, le gadžengi kultura naj amenge dosta te živis maškar le rom. E dujto koja kaj anklisti anda kada maladimos sas o problemo le “medjatorja” rom. Pušljam amen, so, čačimasa, keren le medjatorja le gadženca: počim le medjatorja le sagot le krisarja, le gadže dikhen len kagja ili ni? Le medjarorja angeren le gadženge le romengo glaso haj irin le romenge le gadžengo glaso? Po krajo, amare diskusje sas pe kadala problemur: sar te keras jek načino sikajmasko kaj hamil le romengo sikajmos le gadženge sikajmasa kagja te del i le romen i le gadžen kodeja so trubulen, haj te na mudardžol e romani kultura nego te ankerel svako pesko načino haj te šaj živin zajedno? Haj sar te keras kris maškar le romenge haj maskar le gadženge načinur haj pravur?